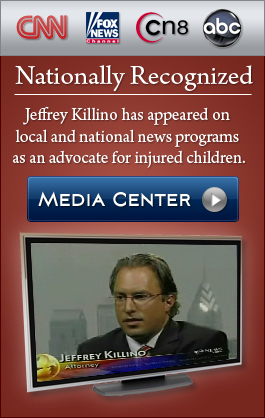 Child injury lawyer Jeffrey Killino has years of experience protecting injured children and their families. In that time, certain questions from clients have come up with regularity. For the sake of providing useful information in a clear format, we have gathered some of these questions and their answers here. 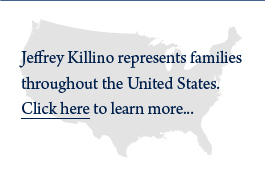 This page is not a substitute for legal advice; it only contains general facts about child injuries and related laws. Check back soon regularly for updates, and contact our offices at 877-875-2927 for advice about your case. What should I do if my child has been injured? My child suffered an injury at birth. What should I do? Could my child’s cerebral palsy have been caused by medical malpractice? My child has been injured in a swimming pool accident. Is the property owner responsible?